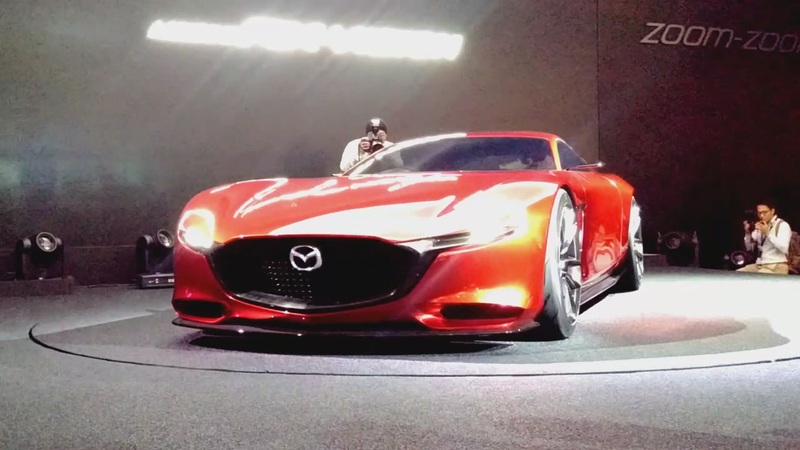 Since it looks like Mazda may very well revive the Wankel rotary engine as a range extender for electric cars, there's no better time to become reacquainted with the quirky internal-combustion engine. And there's hardly a better way to become reacquainted than by peering into a running rotary engine, which you can do with the video above. The video comes to us from the YouTube channel Warped Perception. The channel has already shown what happens inside a conventional internal-combustion piston engine by putting a clear cylinder head on top of a flathead engine. This new video shows off the rotary engine by adding a clear side to a tiny model-airplane engine, something that we weren't aware existed and are glad to know about now. Despite the tiny size, the engine is functionally almost exactly like the bigger versions you'll find in Mazdas from about 1967 to 2012. It has intake and exhaust ports on the edges of the rotor housing, and the triangular rotor swings about in a peanut-shaped housing. For maximum effect, jump to right around the 7:40 timestamp. This is the point at which a bit of acetylene is added to the air-fuel mix for a brighter flame. It's at this point that you can really see when the mixture combusts and how the pressure of the flame pushes the rotor to produce rotational motion. Each stage of the video does slow things down to make everything as clear as possible. Even if you already knew how rotary engines worked, it's still fascinating to watch, first because it's something you don't get to see usually, and also because of the engine's elegant simplicity.